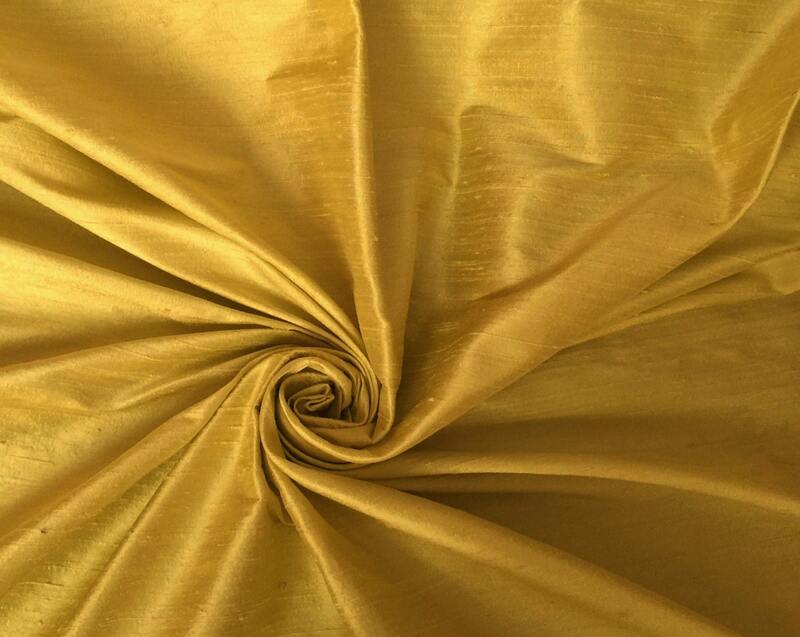 Gold 100% dupioni silk fabric tone-on-tone. Brand New High-End Dupioni Silk Fabric Yardage. 45 inches wide. *1 to 4 yards $23.99 per yard + your shipping charge covers 2 to 3 days First Class shipping in the USA or First Class International service. *5 to 9 yards $23.99 per yard + your shipping charge covers 2 to 3 days Priority Shipping in the USA or First Class International service. $22.99 per yard for USA and for international customers. Ask us for international shipping quote. Just what I wanted . Fabulous!